Calling upon the world to help, UNICEF Executive Director Henrietta Fore warns that the situation for 1 million children affected by Cyclone Idai will get worse before it gets better. Yesterday, UNICEF Executive Director Henrietta Fore spent the day visiting families and children in Beira, Mozambique, one of the areas hardest hit by Cyclone Adai. The cyclone made landfall near Beira last week, cutting off the electricity and isolating the city’s 500,000 residents within its ruins. Initial assessments indicate that more than 39 health centers have been damaged, and at least 11,000 houses totally destroyed. In Beira and across Mozambique, the magnitude of the destruction and human suffering grows by the day. Just back from Beira, Mozambique, a town of 500,000 people, half of them are children. Beira bore the brunt of #CycloneIdai.The damage has been massive. 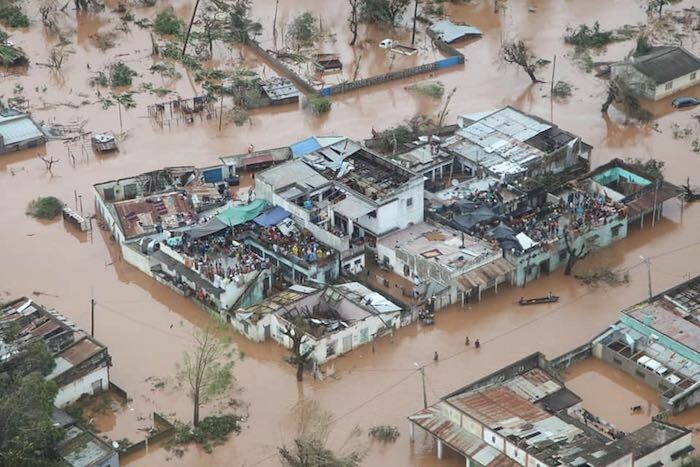 According to initial government estimates, 1.8 million people, including 900,000 children, have been affected by the cyclone in Mozambique. With many areas still inaccessible, UNICEF and partners on the ground predict that the final numbers will be much higher. Cyclone Idai started as a tropical depression in Malawi, where heavy rain and flooding forced families to abandon their homes and take shelter in churches, schools and public buildings. Nearly half a million children are affected there. After making landfall in Mozambique, the cyclone then moved on to Zimbabwe, causing significant damage to schools and water systems. This morning, Fore answered questions about the Cyclone Idai response and UNICEF's work to keep children and their families safe whenever and wherever disaster strikes. When a disaster like Cyclone Idai hits, what is the first thing UNICEF does? How long after a natural disaster does UNICEF stay and support? HENRIETTA FORE First, we must be on the ground to assess the needs as soon as possible. Safe water, basic nutrition, soap and hygiene kits are essential. We want to keep children safe, with their families and in school. Importantly, we are there before, during and after the emergency. Just how bad is the situation facing children in Mozambique? HENRIETTA FORE Entire villages have been submerged, buildings have been flattened — some are without roofs — and schools and health care centers have been destroyed. What shocked you the most? HENRIETTA FORE [That] Buzi, an entire town of 200,000 people, could disappear out of sight, beneath flood waters. We can only pray that people ran or swam to safety. #CycloneIdai has devastated families in Malawi, Mozambique and Zimbabwe. More than 1.6m people are in urgent need of aid. How are children coping with the trauma this disaster has caused? HENRIETTA FORE The psychological impact on children will be deep. I spoke to families in Beira who told me their children are terrified from the chaos and destruction around them and from having to flee their homes. Initial assessments indicate that more than 2,600 classrooms have been destroyed in Beira. How will this impact children and their future? HENRIETTA FORE This will have serious consequences on children’s education and mental wellbeing. What are your major concerns for children? HENRIETTA FORE We are particularly concerned about the safety and wellbeing of women and children who are still waiting to be rescued or are crammed in temporary shelters and at risk of violence and abuse. We are also concerned about children who were orphaned by the cyclone or became separated from their parents in the chaos that followed. What is UNICEF doing to help those impacted by Cyclone Idai? HENRIETTA FOREWe're in a race against time to help and protect children. We’re distributing water and nutrition supplies and setting up emergency medical tents with health supplies. We’re assisting those sheltering in schools, helping reunite separated families and looking after orphaned children. How soon can we expect life to get back to normal for children? 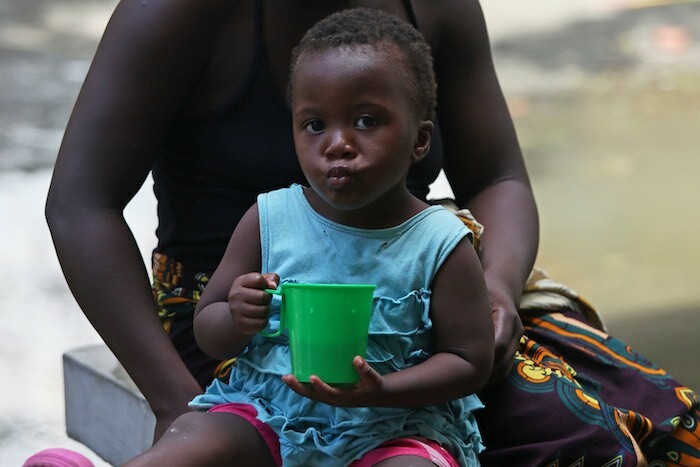 HENRIETTA FOREFor children affected by Cyclone Idai, the road to recovery will be long. They will need to regain access to health, education, water and sanitation. And they will need to heal from the deep trauma they have just experienced. We are seeing an increase in the frequency and intensity of natural disasters like this. What is UNICEF doing to help communities become more prepared for future disasters? HENRIETTA FORE Excellent, and timely, question! Preparedness is key. Building disaster-safe schools, teaching children how to swim, better anchoring roofs on schools and homes. These simple improvements can save thousands of people the trauma experienced in Cyclone Idai. How can the world help children recover from Cyclone Idai? HENRIETTA FORE UNICEF teams are on the ground in the three countries impacted by Cyclone Idai, helping children learn, play and heal, but our resources are overstretched. We will initially need $30 million in the first stage of the response and look to our public and private donors to be generous to the thousands of children and families who need support. Every donation matters!